Steps are rated up to 325 lbs. Carr Truck Steps combine stylish accents with a rugged off-road look. A Uniquely designed diamond tread pattern provides a safe non slip surface on the flat step area. From our super durable Super Hoop Step to our customizable Universal Hitch Step you are bound to find the right quality Truck Accessory for your truck. Carr is offering a limited lifetime warranty on their Super Hoop truck steps. 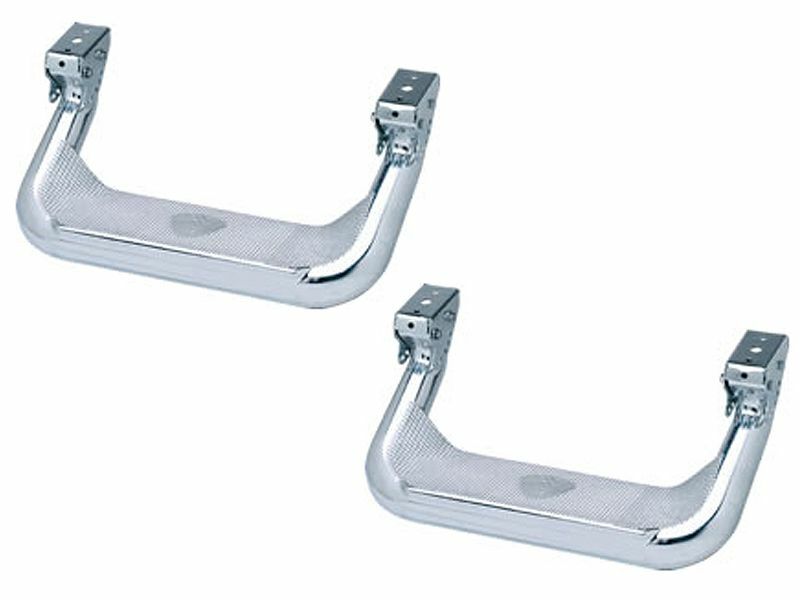 Carr polished aluminum Super Hoop truck steps offer an easy installation. For additional information see the install manual below or call at 1-877-216-5446 or 701-253-5906.